Reader question… “A neighbor told me this morning that I shouldn’t be using my crockpot to cook dried beans. She says anything cooked in a crockpot doesn’t get hot enough to get rid of the natural toxins in the beans but I keep seeing recipes for cooking beans in a crockpot. Have you heard of this?” –Audrey J. Your neighbor is talking about a toxin called phytohaemagglutinin, also known as kidney bean lectin, that is found in many types of beans. Kidney beans contain especially large amounts of this toxin, and amazingly, eating just four or five raw or improperly cooked kidney beans can make a person extremely ill. Ingesting larger amounts can actually cause death. Other beans, including white kidney beans, broad beans and lima beans, contain the same toxin in smaller but still dangerous amounts. Raw beans naturally contain dangerous levels of this toxin, but when beans are cooked in a crockpot at the usual slow-cooking temperature, the level of toxin in the beans will actually INCREASE. Your neighbor is correct… many dried beans, including kidney beans, should never be cooked solely in a crockpot or slow cooker because they will never reach a high enough temperature for a long enough period of time to destroy enough of the phytohaemagglutinin to make the beans safe to eat. It is also not safe to eat these beans raw or sprouted or ground into flour because of the high levels of toxin. So are beans cooked in a crockpot or slow cooker safe to eat? Yes… if the beans are properly soaked and cooked. The university extension services recommend the following steps to destroy these toxins and make the slow cooking process safe. I am so glad you posted this – I heard this years ago and have read conflicting things. I am also trying to figure out a good process for precooking beans and freezing them, so that I can quit using canned beans but still have the convenience of them. Any suggestions? Thank you for informing us about the phytohaemagglutinin as I didn’t know this. I have a suggestion for ‘S’ as I have been cooking and freezing beans for a few years and it works well for me. I completely cook the beans and freeze them with liquid in pint or quart size jars – just making sure they are not filled too far as the jar will break because the liquid expands when it’s freezes. I add no salt and cook the beans to a more firm texture as I like them better that way. Thanks, I never knew this. I don’t eat beans (allergy) but just started making them for my husband. This is important to know! Wow. I’m lucky I happened upon this. I was getting ready to throw some beans in the crockpot tonight! 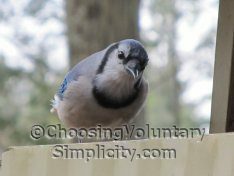 Hello, found your site only today….and I’ve already gleaned two answers to questions that I had!! thank you….I cook alot of beans lately, and didn’t know about this…I’ll keep it in mind in the future! Oh my!! I cooked red beans for the first time–after long soaking and discarding original water–in the crock pot. Immediately after eating, I felt naueous. My daughter ate more of them than I and ended up throwing up during the night. She feels fine now. I didn’t eat very much, but the ‘ill’ feelings were quite sudden, so it was easy to determine the culprit. Is it too late to drain and rinse these cooked beans and boil them? Just wondering. I will toss these, b/c I am not anxious for a repeat, but am curious. I have used a crock pot to cook beans for quite a while now, I always use high heat for at least 8 hours. When I check the crock pot the liquid in the crock is always boiling. The beans should be good to eat then shouldn’t they? Danielle, if the liquid in the crockpot is always boiling, I would guess you are boiling the beans for more than the recommended ten minutes. I am from the caribbean and we always soaked the dry beans overnight and changed the water at least twice in the process. We then cooked them on the stovetop with boiling hot water for about 15-20 minutes. I hope this helps. For the raw beans, we just boiled them outright until they were soft enough to us to eat. 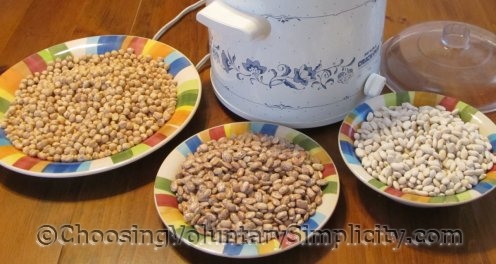 If you have soaked your beans (which you should soak all legumes, grains, rices and nuts), and have boiled them for 10 minutes, you can then dehydrate your beans (oven method or dehydrator) to get them back into a dry state. Once this is done – then mill the beans into flour. This flour is then safe to use without fear of toxins. This information should be on every dry bean pkg. Slow cookers/crock pots are very popular again and I am sure few people know about this. I do not recall any slow cooker/crock pot having instructions for cooking dry beans but did notice their recipes always called for canned beans. I am up to date on most things regarding food preparation but did not know about phytohaemagglutinin. Thank you for publishing this information. In South Asia we always soak all beans and legumes overnight and then rinse out and discard the water. Beans are cooked in a pressure cooker. Alls good.